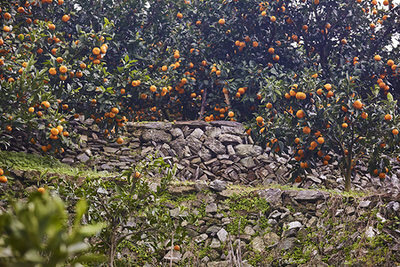 Once upon a time, a brave man crossed the ocean to the Eternal-land in search of miracle remedy for his beloved master. 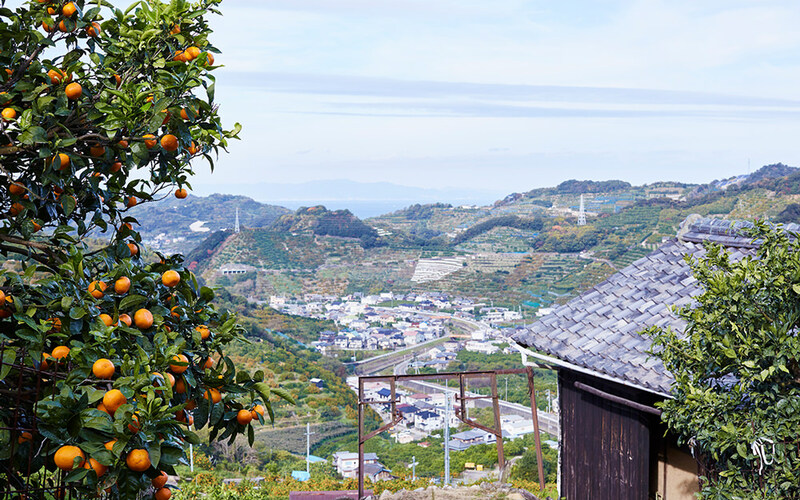 After a series of hardships, he brought back a branch of magical citrus fruit, and planted it in Shimotsu (Shimotsu-cho in Wakayama prefecture). 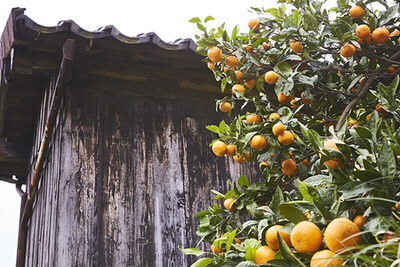 Over many many centuries, the bitter medicinal fruit turned into sweet mikan and spread across the country as healthy and sweet dessert. 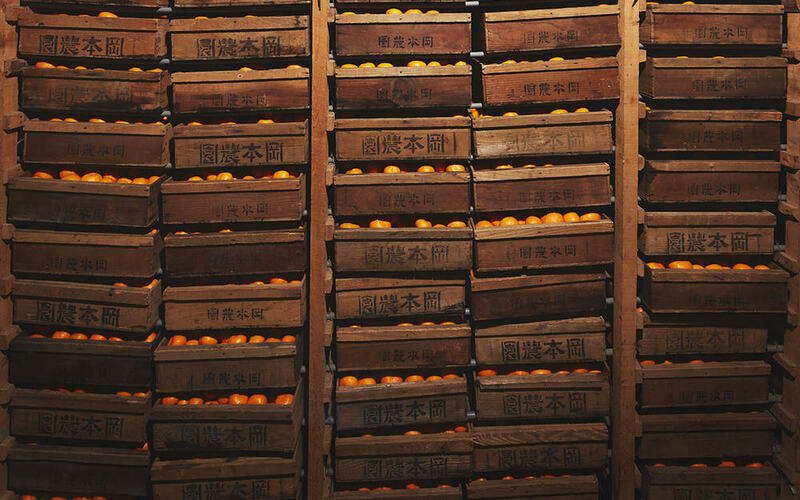 The brave man of devotion has been revered as a god of sweets. 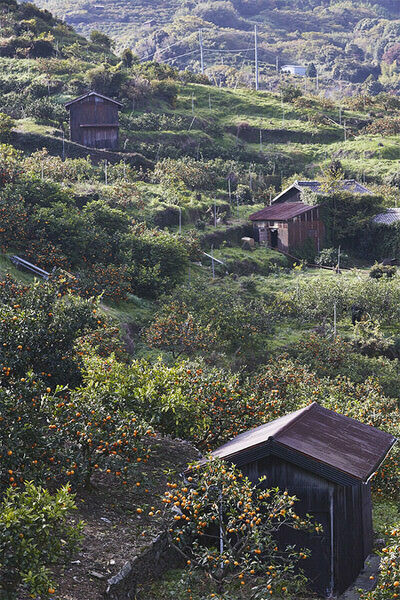 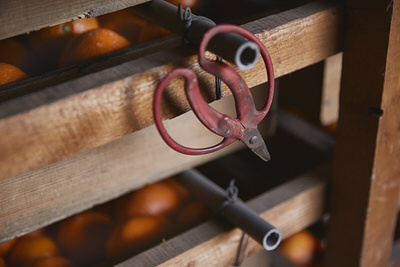 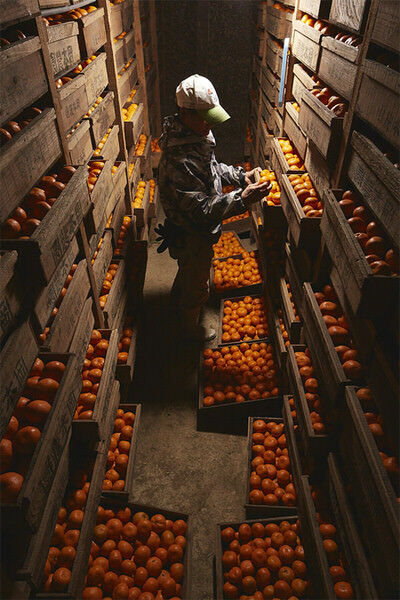 Carrying on his spirit, generations of Shimotsu Mikan growers worked hard in the steep mountains to produce delicious mikans. 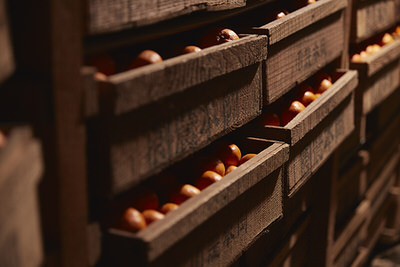 Kuradashi (蔵出し; ripening in a cellar) is their wisdom of 300 years. 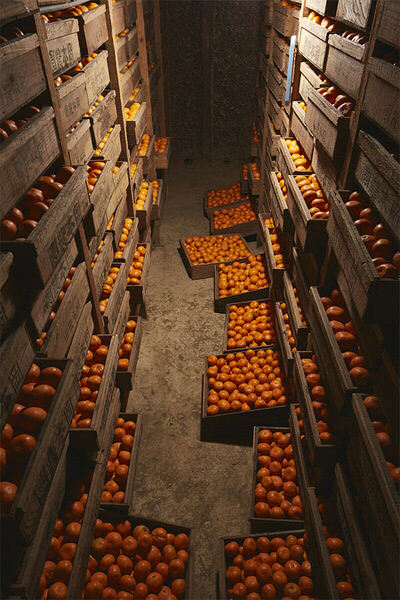 Harvested mikans are stored in a mud-walled cellar built in the plantations during the winter months. 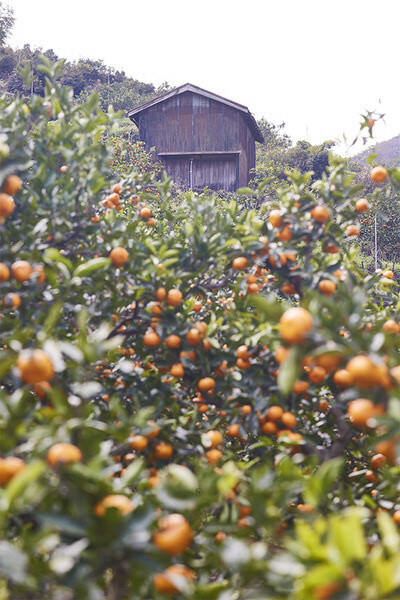 The temperature and humidity in the cellar are naturally controlled with fresh air. 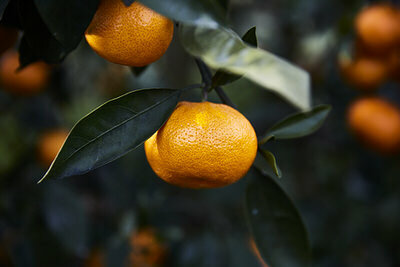 Slowly, sugar and acid in mikans ripen to add depth and roundness to the sweetness inside softened skin. 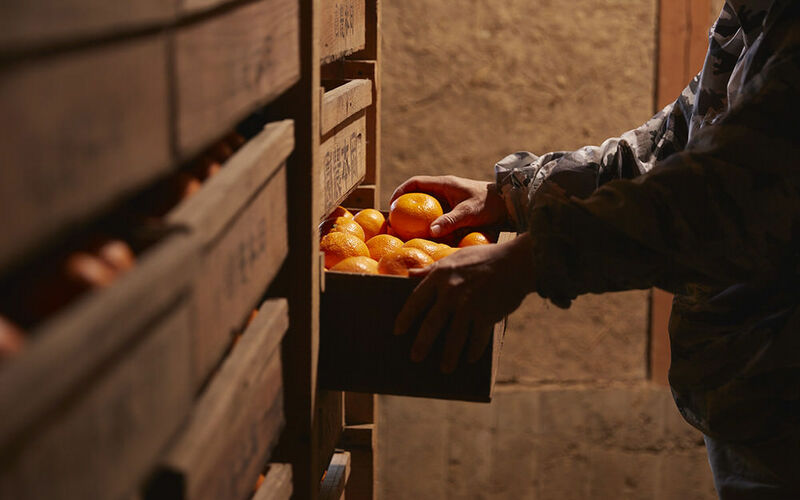 The naturally intensified sweetness has brought Shimotsu Mikan nationwide acclaim, and mikan lovers anticipate its season every year. 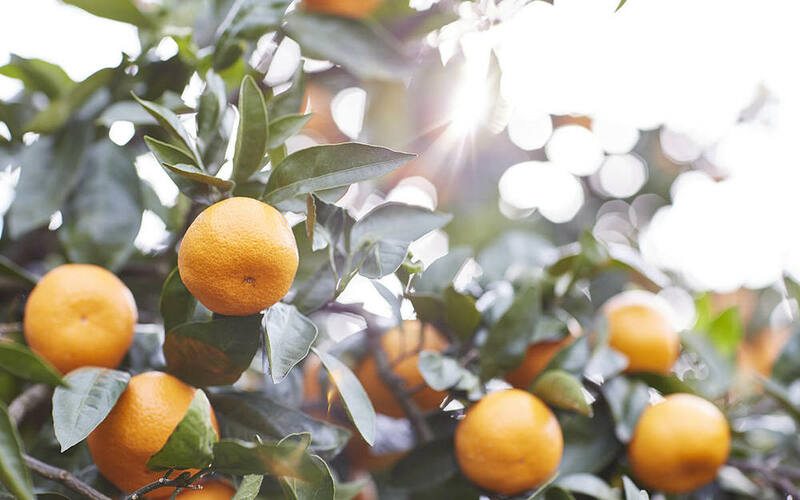 Enjoy the sweet blessing of Shimotsu Mikan – a gift from god of sweets and mikan growers, and make it a sweet gift for your loved ones. 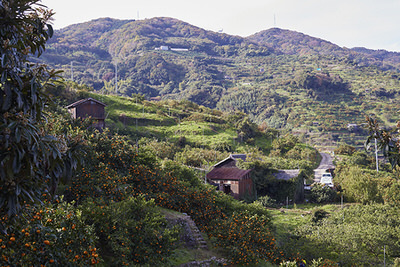 ©JA NAGAMINE All rights reserved.